See and hear Beatrice talk about her experiences at the Clinton School of Public Service. In 2006 , we raised more than $2,300! In 2007, we raised more than $4,200! 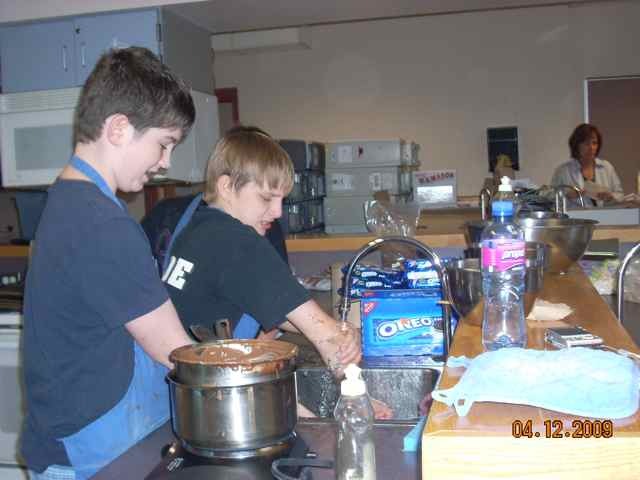 In 2008, we raised more than $4,600! In 2009, we raised more than $2,200! In 2010, we raised more than $3,000! Above: Beatrice Biira at age 9, taking care of her family. With the contribution of a goat from Heifer, Beatrice was able to go to school. Read all about her story in the best-selling children's book, Beatrice's Goat. 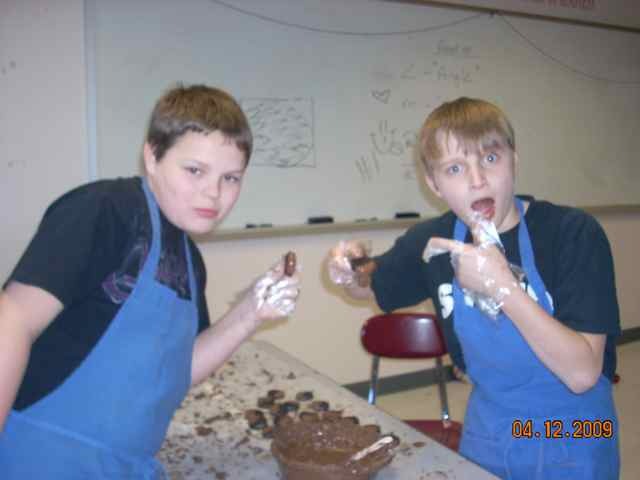 Pia D. and Michael F. making Cow Pies to sell at a bake sale. 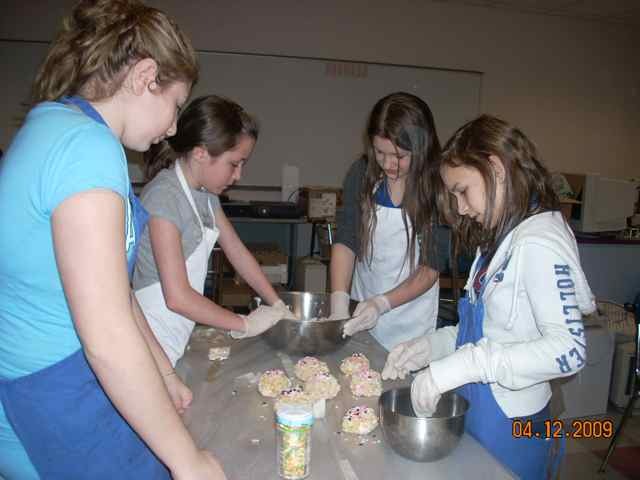 Rebecca T., Allison R., Morganne H., and Amy M. make "haystacks" for the bake sale. Ian T. and Justin L. clean up. Ian and Justin taste test the results! 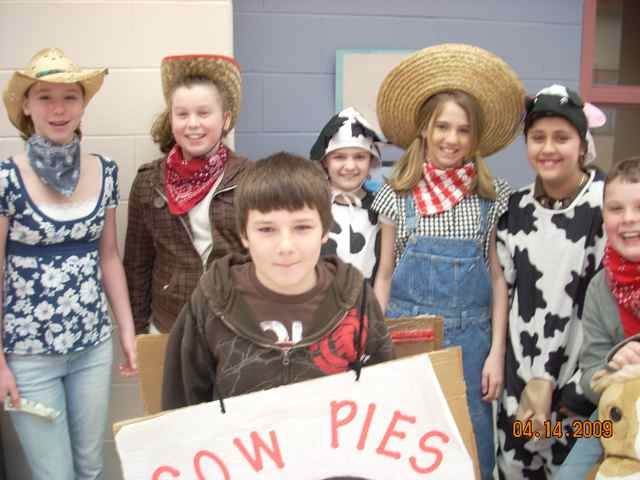 Mr. Stempleski gets "into" the cow theme, urged on by Danny N.
Enthusiastic students selling cow pies include: Lily P., Jacqui W., Gordon F., Kayla C., Riley C., Dani M., and Danny N.
Ms. Kelly organizes the sales with Dani M., Riley C., Ms. Lybarger, and Danny N.
Mr. Stempleski helps Dani M. with her cow costume along with her mom. 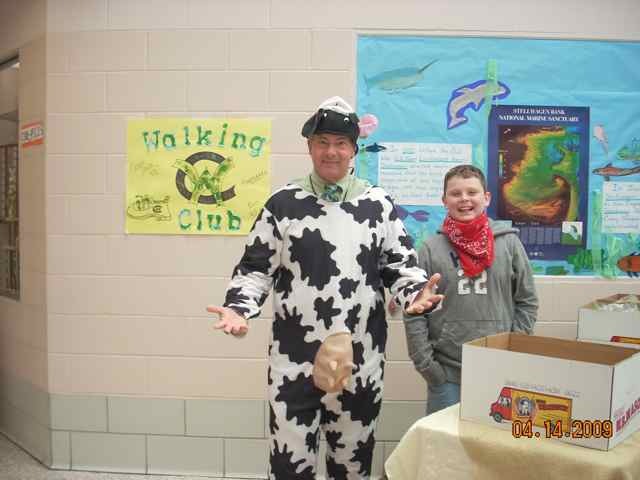 Students from both PCIS and PSMS have worked together to raise over $13,300 for the Heifer Project. The HOWL Students taught lessons, gave advice, and provided templates to classroom teachers to help facilitate their classroom fundraisers. Examples included Read-a-Thons, Chores For Change, auctions, raffles, and bake sales. Sometimes, the highest earning team was given the priviledge of seeing Beatrice Biira during a television interview at PCIS. The winning classroom was 6th grade Lybarger/Stempleski team at PSMS, who raised over $900! Each student works together with the HOWL team to produce interdisciplinary curriculum that will improve classroom instruction. For example, our students produce time lines, PowerPoints, lessons, videos, etc. requested by teachers for use in their classrooms. Also, we engage in community service projects and TV Productions that are shown to the community. In 5 years, we raised more than $16,000 for the Heifer Project! Logo was drawn and designed by Jake Crociati and Ben Pieroni!